We love North Point Community church! I used to love traveling around the world. I counted down the “sleeps” before we would get on an airplane to our next adventure location. Once we started serving in Africa my “count-downs” would start weeks out, and I couldn't wait to land on my favorite continent. I still count down the days to come home to Swaziland when we are traveling abroad. 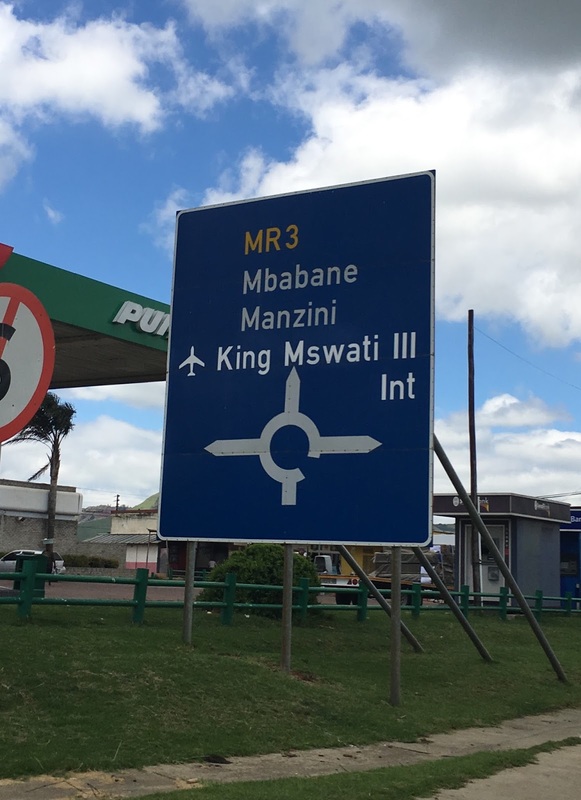 I can’t wait to see the “Welcome to Swaziland” sign and know that we will soon see the children. I look forward to sitting on our patio with our crazy dogs, overlooking the farm (which looks green and beautiful due to recent rains), and to see the smiles on all of our Swazi staff. This is truly home now, and I love it. What I don’t love it JET LAG! (I know, this is a bit of “first world” whining). I just can’t seem to shake it off and get on the right time zone. We arrived on Wednesday night and I am still out of wack, and getting worse. I took two Aleve PM last night and went to bed at a decent hour. Ian and I both picked up coughs on the airplane and so we both started to cough. You know how that goes. At around midnight I moved to the couch and watched TV until 2AM when I got up and made some eggs (comfort food… thinking it might help). Then a herd of cows from over the mountain came and decided to graze right outside our fence. Our dogs when CRAZY and proceeded to bark from 2:00AM – 5:30AM, or at least that is when I finally fell asleep. I awoke at 11:30AM and am now just trying not to bump in to walls as I make my way around the house. 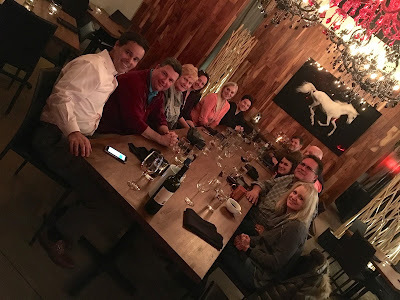 Our three-week long trip to the US and Canada was busy and fruitful. It is always great to see friends, share the stories of how God is alive and well in Swaziland and thank the people who give so generously to support the work at Project Canaan. But, as well all know, there is nothing quite like getting home and crawling in to your own bed (even if you can’t sleep). Live from Swaziland … readjusting to time and space here. PS – some of you may have seen that a Cyclone hit the south east coast of Africa this past week. Fortunately we did get a good amount of rain from it, and little damage (other than to our roads which need a lot of repair). Dam #2 is starting to fill with another 4-feet before it hits the spillway. The Living Water Dam (#3) is possibly half full. This is all good news, but does not reduce our need to complete the pipeline from the top of the mountain so that we become “water secure” and can irrigate crops all year long. On February 7th, Deborah turned 4-years old. She is a miracle, just like the other 148 children who call Project Canaan home. On Monday night I arrived home from possibly the worst day of my life. I just got home after a very long hard day, showered and am now seeking comfort from Donnie McClurkin worship music and my yellow chair. When my brain and heart are on the edge of exploding I must write. It is like oxygen to my soul so that I can breathe again and nothing is forgotten. When I am finished writing the tears will have soaked my tshirt and emptied my soul. Here is what happened today. At 10AM I got a call from the Child Protection unit of the Police saying a newborn baby had just been found in the bush in our area (Sidvokodvo). The police were taking the baby to hospital as she was in bad condition. They thought she had been born just yesterday and was found today alive. I got in the car, picked up Jamie Klee and headed to the hospital. Halfway there my car broke down (again). We waited 45 minutes before Ian could come to the rescue, switch vehicles and continued on to meet the police. I am going to start praying harder for the Lord to provide a good vehicle for me to use. I know you will look at this photo and not want to continue, but seriously, this is really a little baby. Please keep reading. When we got to the hospital we quite accidently bumped in to the doctor whom I often write about (but never name for privacy reasons). He was so surprised to see me because he was just about to call me about an abandoned child. He had just examined the baby and was waiting for her to come to be washed and cared for. He allowed us to go in to the tiny room where they washed her and take photos to show what condition she was in. She has many bug/insect bites all over her body, there is a bone misplaced in her leg (will check for fracture when she is stable), her face and backside are in very bad condition (maybe burned?) and raw and she had maggots crawling out of her eyes and ears. Lots of them. 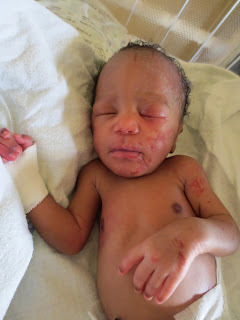 She is premature and weighs 1.8 KG (4.1 pounds), but she is a fighter. They had to wash/scrub her twice then finally went and got disinfectant to bathe her in to try to kill the bugs. She screamed as the liquid hit her open skin. We stood and prayed. She was then put on a sheet under a “warmer” and the nurse left to get dressing for her wounds. Maggots filled her mouth, eyes and ears. These were digging a hole behind her little ear. As Jamie and I stood in this small washing room, we suddenly realized we were in the NICU room. 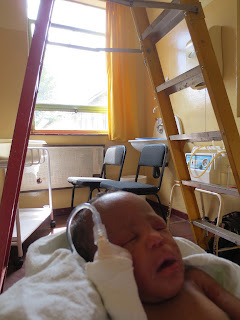 There were three other babies there on oxygen and monitors. I looked at the little boy beside our baby and it didn’t look like he was breathing. I said that to Jamie and went and put my hand on his tiny chest. I didn’t feel anthing, but I am not in any way a medical professional. The nurse walked in just then and I mentioned that the baby didn’t seem to be breathing. She left and got the doctor who was right outside the door. He came in and immediately started CPR, as we stood and watched and prayed. After 10-15 minutes of CPR, listening, oxygen, and other emergency things I can’t think of the name of right now (which seemed like a flash and an eternity all at once) he shook his head. The child had turned color. He was dead. Just like that. Gone. We believe and are hopeful that our baby, now named Deborah because she is a fighter, will live. I will be there every day this week to help with her care while the mother of the baby boy will mourn the loss of her beautiful child. After a time Jamie and I left the hospital in tears, and headed home. I couldn’t just go home with the vision of that baby boy in my mind so suggested that we stop at the police station to find out if they knew anything more about Deborah’s situation. This is where the plastic bag with baby Deborah was found. The police were very kind and agreed to take us to the place she had been dumped. Deborah was a newborn (umbilical cord still attached) and was put in a black plastic grocery bag. The police said that the top was tied in a knot and she was left in the bushes under a tree in the middle of nowhere. This morning a local man was walking by and heard what sounded like crying. After listening closer he moved closer to the sound. When he saw the bag moved he was terrified and thought it was a snake so ran to a local store for help. He and the store-keeper came back to investigate the strange bag and found the baby. She was somehow half in and half out of the bag, face down in the dirt and crying to save her life – literally. We went and met the man who found her – the hero of the day. He said her mouth and ears were full of maggots and it was terrible. He shook his head when he spoke of what he saw. I gathered together all that I had left in me and shook his hand, thanking him for saving the life of a chosen child – a child who was seen by El Roi himself. I am tired, confused and emotionally finished. I don’t know why the Lord had us sit on the side of the road today for 45 minutes, only to be in the room to see a baby die. I don’t know why he allowed baby Deborah to live for two days (they think) in a black plastic bag under a bush – not eaten by dogs or snakes, and then He allowed a baby boy to die in a hospital NICU care center. But my faith is in Him and always shall me. He is El Roi, the God who Sees and I will cling to that today and in the days ahead. Sorry for the long blog, but this is a Tuesday update, which has prompted a mid-week blog. Baby Deborah on Tuesday. So much better. Don't mind the guy replacing the entire light FIXTURE over the NICU babies. Monday night around midnight I got a text from a young woman saying she was cutting her wrists to commit suicide. A bad text. I called her and tried to encourage her and change her plans. She hung up the phone and it was early morning before I could contact anyone to find her. By 10 AM we drove and found the young woman. She was lying on the ground in a local homestead and had overdosed on a drug we couldn’t find. We took her to the hospital (sadly there is no 911 to call, no ambulance and the social workers of the country don’t have transportation) and got her in to the emergency room. From there I literally walked to the Neonatal unit of the hospital and spent an hour with baby Deborah who is doing MIRACULOUSLY well! The nurses can’t believe the change in her! She is off the oxygen. She is breathing well on her own and the swelling has gone down so much. The nurses say, “This one will live!”. I spent an hour with her and fed her a bit, but she was tired and slept for most of the time while I told her about what a fighter the Prophetess Deborah was. From there I checked in the Emergency Room again, stomach pumping still in force, then on to the TB hospital to see the mother of our twins Leah and Rachel. · “Target” shopping (complete with the overwhelming awareness that there are more items and variety for sale in one store than ALL the stores in Swaziland put together). · Be intentional to eat at as many of the following as possible: Chipotle, Chik fil A, Vinny’s, Pure Taqueria, Bagel Boys, PF Changs and squeeze in a Costco hotdog if at all possible (don’t judge). · Pack extra suitcases to the 50 pound mark with goodies to take back to Swaziland when we fly back through Atlanta. Today we are heading to Toronto, then on to Ottawa to visit Ian’s family, whom we have not seen in two years. We will attend several events hosted by our Canadian board members, attend some media events, visit with friends in Toronto, and of course the highlight is that we get to see CHLOE!!! 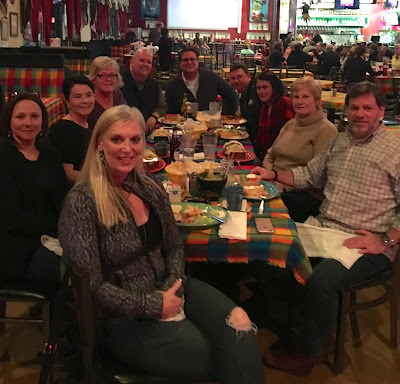 Later in the week we head to Chicago to spend some time with the Ferguson’s and our friends at the Village Christian Church in Minooka, Illinois, old friends Ann and Doug Williams and …. Drum roll please … tickets to see HAMILTON in Chicago!!!!!!! I distinctly remember when I was just starting out in my business life (circa 1985) that I was going to know that I had “made it” when I could afford seasons tickets to the Royal Alexander Theatre in Toronto. I also distinctly remember giving up those seasons tickets when we closed our business and started to work in Africa. While I have no desire to have seasons tickets anymore, I am more than thankful to have the ability and means to be able to buy tickets to see this show and have a fun night out with Ian. Live from Atlanta … heading to the great white north. PS - thank you Julie and Pete Wilkerson for always welcoming us in to your home when we visit. You guys are awesome.